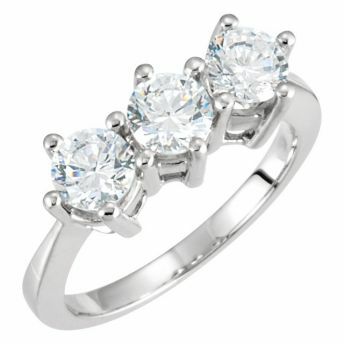 Classic Three-Stone Oval Diamonds ring in 14 karat white gold. Diamonds are full-faceted GHI genuine. 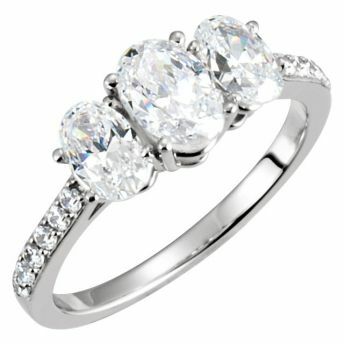 One oval faceted, size 06.00x04.00 MM. Available in 14 karat White and Yellow Gold and Platinum.